Deadlifts is one of the basic and most fundamental exercises in strength training workout. It is an excellent exercise which trains different parts of the body which includes the muscles of your hamstrings, calves, glutes, abdominal muscles, quadriceps, biceps, back and triceps. 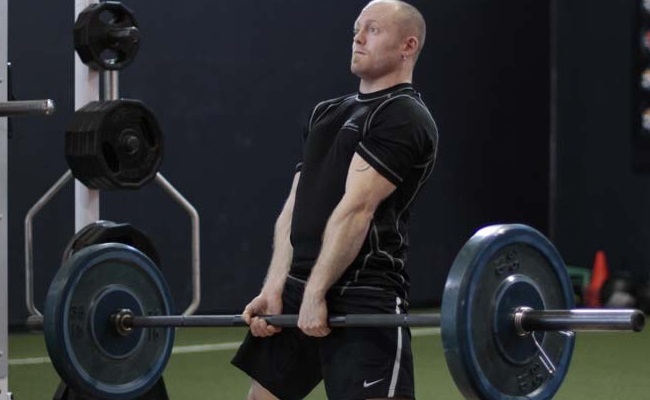 In this article we will look at six effective deadlift exercises to strengthen your body. 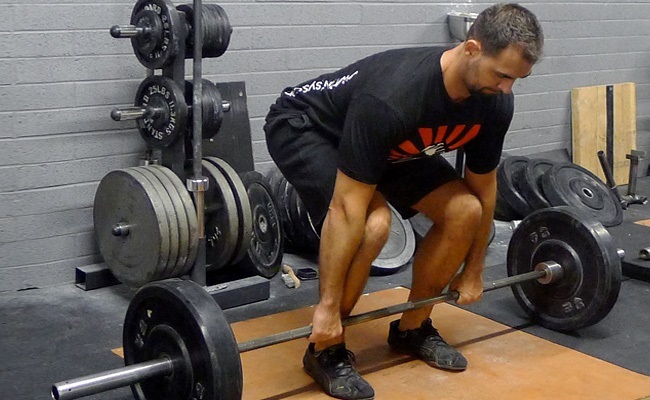 These are the most difficult of all the variations of deadlifts. This movement works every single part of the body. To do this exercise you need to stand erect and place the barbell in front of you. Keep shoulder width distance in between your legs. Now bend your knees and hold the bar firmly in your hands. Keep your thighs in straight line with the ground. Your back should be straight forming an arch shape. Now carefully raise your body and lift the barbell for few seconds. Gently lower the body and put down the barbell on the ground. This variation of deadlift when performed using light weights can result in a good whole body workout. To do this exercise you need to stand straight with barbell placed in front of you. Now push your hip behind and bend your body. Lower your knees and keep your back erect. Holding the bar firmly in your palms, lift the bar up keeping your backbone and arms completely straight. Slowly pushing your hips behind and bending your knees, lower the barbell on the ground. This variation of deadlift works remarkably not only on your hamstring muscles but also on forearms, adductors, back, traps and quads. 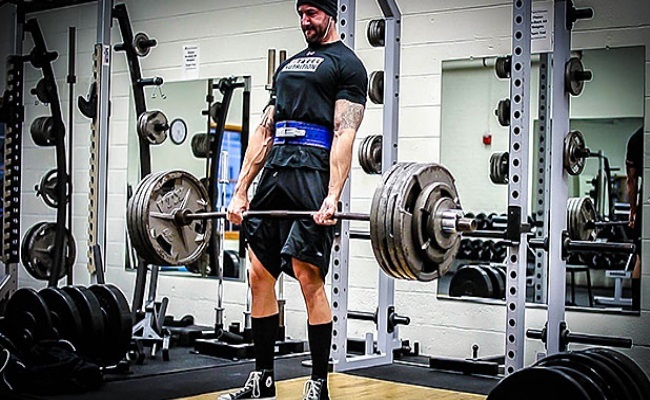 Keep the feet wider than other variations of deadlift. Keep your feet close to the corners of the barbell. With chest up and hips bend firmly hold the barbell in your hands. Straighten your arms and erect your back, now taking support of your hips pull the weight. Exhale and bend your lower body to put down the weight. This variation is made for women as it is light as compared to other variations. With lesser weights involved this exercise puts lesser load on your lower back. Based on your convenience you can use barbells, kettlebells or dumbbells on both of your sides to perform this exercise. Lower your hips to hold the dumbbell firmly on your sides. Push your hips and bend your knees to bring down the weight. 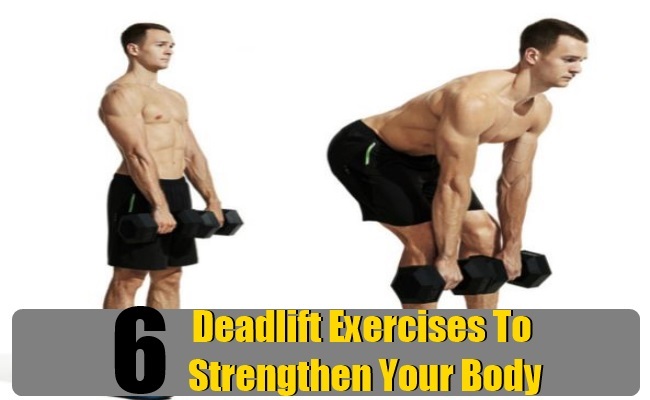 This variation of deadlifts influences the entire body and mostly the lower body and lower back muscles. To do this exercise, hold a kettle bell in one or both the hands. Bend yourself and raise your left leg in backward direction. Keep the body balanced and parallel to the ground. Come to the upright position and keep the leg on the floor. Now do the same procedure with the right leg. To do this exercise you need to stand erect on a plate and keep your lower body muscles tight. As you raise the bar from the floor, assume that you are making hole in the plate. This exercise makes your leg muscles stronger and longer. So these were some of the variations of deadlift exercise. Choose which one suits you according to your body capacity and requirement. Including this exercise in your daily workout regime would definitely get you a sturdy and robust body.